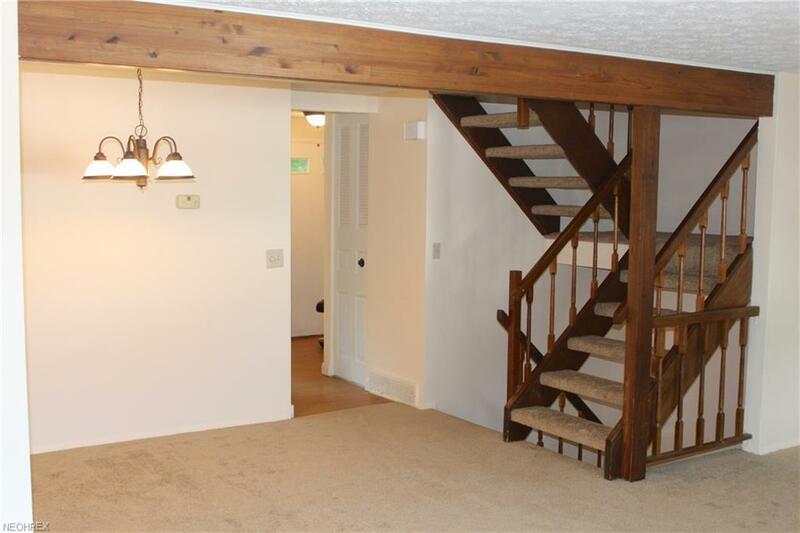 New carpeting and fresh paint make this condo feel like new! Two large living room windows allow the sunlight in and a view of the private brick patio. Living Room features a nice, stand-alone electric fireplace. 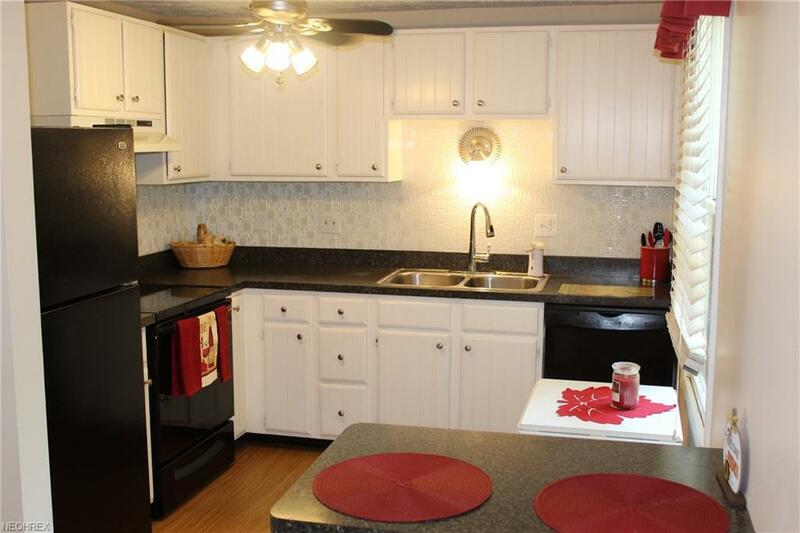 Kitchen has newer appliances: dishwasher, stove, and refrigerator plus white cabinets and counter bar. Finished Rec Room with newly updated half bathroom and storage area. Another half bathroom is located on first floor. 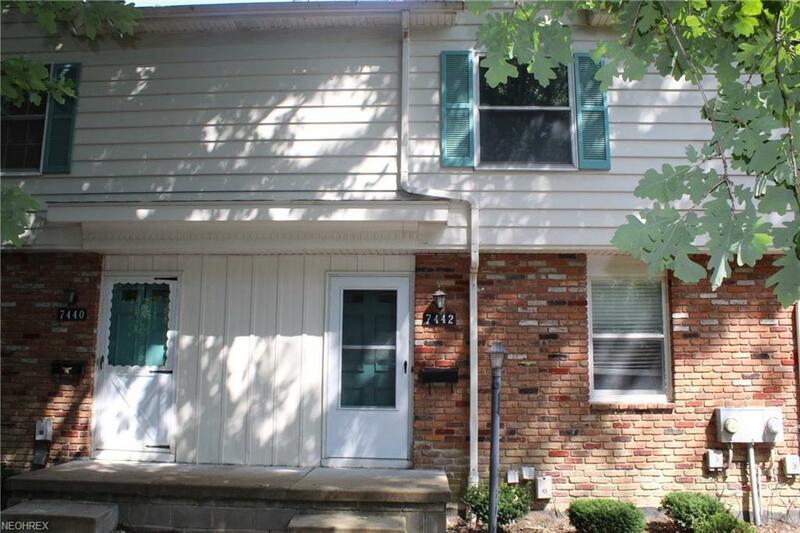 Upstairs is an updated full bath, master bedroom with large, walk-in closet and two more bedrooms. 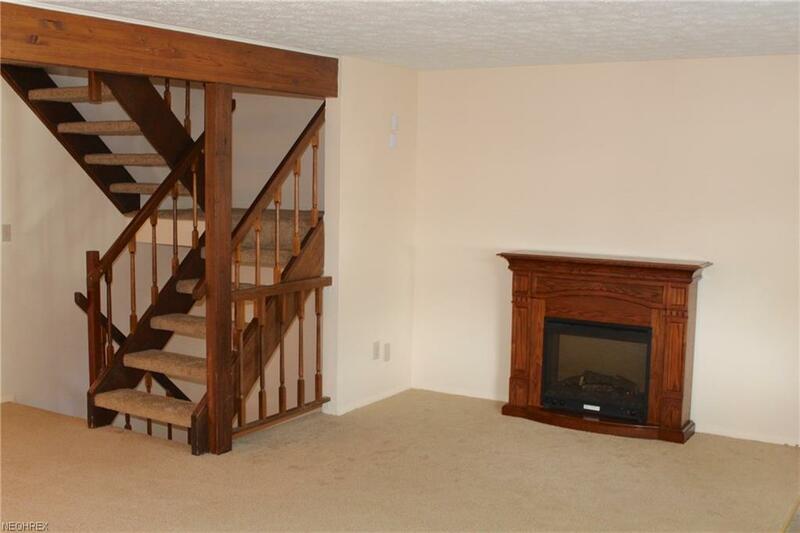 Other amenities include: central air, 1-car detached garage. Mentor school system. Close to shopping and highways. Complex has a pool and playground. Welcome home !!! !